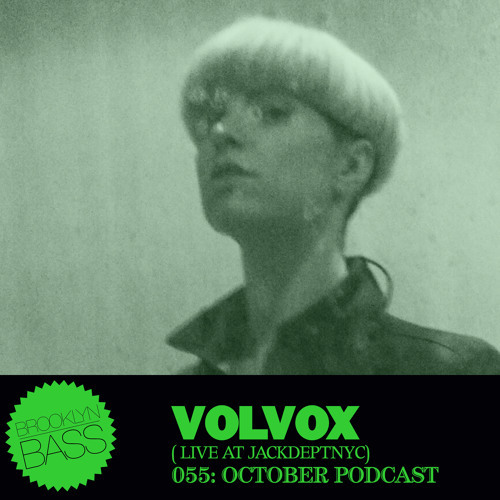 Originally posted: http://brooklynbass.net/brooklyn-bass-055-volvox-live-at-jackdeptnyc-october-2014-podcast/ "Just as October reaches it’s end we’re bringing you some hearty techno to fulfill those Halloween nights. Volvox sent us a live take from her successful monthly Bossa Nova resident party, JACK DEPT. NYC that she runs with Boston buddy John Barera. Starting out as a DJ back in 2006 at Cambridge’s legendary Make it New series, she’s quickly honed her curational skills and adapted them to the Brooklyn circuit. No matter the situation she captures a crowd with everything from raw acid and EBM-flavored techno, to dreamy sensual deep house."